Speech analytics software has been available for use in commercial industries for almost 15 years. But in reality, it’s more likely that only about 25% of organizations are using speech analytics solutions. And according to an article from Smart Customer Service, 43% of companies don’t even know what speech analytics is or how to use it to improve their business. 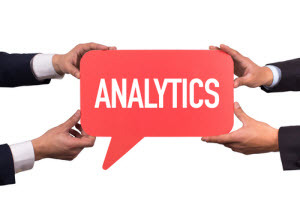 Speech analytics has been in the forefront for many in recent years because it has so much to offer, including cost reduction, service improvement, revenue growth, and increased compliance. Speech analytics is a technology in which recorded calls are converted from speech to text, allowing quality assurance team members and managers to perform searches for key words and phrases. But with new innovations in the technology comes new ways to use speech analytics software to improve your business, including speech recognition and voice recognition. These technologies make speech analytics even more accurate and allow for even more in-depth search options. There are three ways in which we think speech analytics might be used in your organization moving forward. The ways in which companies and customers interact has vastly changed over the past 10 to 20 years. 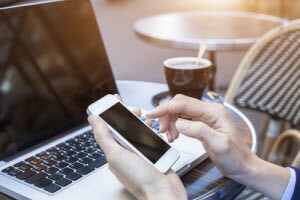 From in-person contact to over-the-phone contact to email, internal website “chats,” to text messaging and more, the tools you use to interact with your customer depends on how your customer wants to communicate. The analytics engine can be applied to any text files, making it easy to measure interactions across communication channels. As with the way your business communicates with customers, how agents work has also vastly changed in recent years. Allowing agents to work remotely means you can have access to a broader pool of talent. But one previous concern about having remote agents has been that there was no way to ensure quality service and productivity. But with speech analytics, you can keep an eye on the performance of each of your agents working down the road the same way you would with an agent working down the hall. There are several different types of speech analytics, including voice analytics, interaction analytics, and multi-channel speech analytics. The best thing you can do is figure out which technology you need for each of your communication channels and leverage it to the best of your ability. By utilizing the technology to your advantage, you’ll be able to improve the performance of your agents, increase customer satisfaction, and ensure that you’re getting a great return on your investment into this incredible technology. When it comes to using speech analytics in your business, it’s clear that this form of analysis is only going to become more important in the coming years. And while the technology available is still being honed and advanced every day, it’s important to come up with inventive ways to use speech analytics to improve your business.